Recent Arrival! 2019 Jeep Wrangler Sport S 2D Sport Utility 3.6L V6 24V VVT 4WD Bikini Pearlcoat 8 Speakers, ABS brakes, Brake assist, Cloth Low-Back Bucket Seats, Compass, Electronic Stability Control, Low tire pressure warning, Radio: Uconnect 3 w/5" Display, Traction control. Bob Frensley , home of the Superdealer has been selling cars/trucks for over 50 years !! Call 615-859-0000 or visit www.bobfrensley.com to schedule a test drive. #sellingcarslikecandybars #sellingtruckslikereesecups. Recent Arrival! 2019 Jeep Wrangler Unlimited Sport S 4D Sport Utility 3.6L 6-Cylinder 4WD Red Clearcoat 8 Speakers, ABS brakes, Air Conditioning, Brake assist, Cloth Low-Back Bucket Seats, Compass, Electronic Stability Control, Low tire pressure warning, Radio: Uconnect 3 w/5" Display, Traction control. 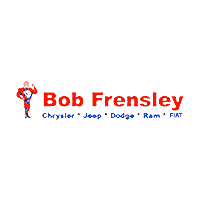 Bob Frensley , home of the Superdealer has been selling cars/trucks for over 50 years !! Call 615-859-0000 or visit www.bobfrensley.com to schedule a test drive. #sellingcarslikecandybars #sellingtruckslikereesecups. Recent Arrival! 2019 Jeep Grand Cherokee Limited 4D Sport Utility 3.6L V6 24V VVT RWD Slate Blue 506 Watt Amplifier, 8.4" Touchscreen Display, Adaptive Cruise Control w/Stop, Advanced Brake Assist, Air Conditioning, Bi-Xenon High-Intensity Discharge Headlamps, Blind spot sensor: Blind Spot Monitoring System warning, Body Color Door Handles, Body Color Fascias w/Granite Accents, Body Color Sill Extension, Brake assist, Bumpers: body-color, Dark Day Light Opening Moldings, Dark Headlamp Bezel Finish, Dark Lens Taillamps, Delete Limited Badge, Dual Dark Chrome Exhaust Tip, Dual-Pane Panoramic Sunroof, Eco Suspension I, Full Speed FWD Collision Warn Plus, Fully automatic headlights, Gloss Black Exterior Accents, Gloss Black Roof Rails, Granite Crystal Exterior Accents, Granite Crystal Exterior Badging, Granite Crystal/Black Grille, Jeep Advanced Active Safety Group, Lane Departure Warning Plus, Leather Trimmed Seats, LED Daytime Running Headlamps, Limited X Badge, Limited X Package, Liquid Titanium Accents, Navigation System, Parallel & Perp Park Assist w/Stop, Power Liftgate, Premium Accent Claddings, Premium LED Fog Lamps, Quick Order Package 2BG Limited X, Radio: Uconnect 4C Nav w/8.4" Display, Rain Sensitive Windshield Wipers, Rear Parking Sensors, Remote keyless entry, Roof rack: rails only, Speed-Sensitive Wipers, Spoiler, Sport Hood, Steering Wheel Mounted Shift Control, Tachometer, Wheels: 20" x 8.0" Granite Crystal Aluminum. 19/26 City/Highway MPG Bob Frensley , home of the Superdealer has been selling cars/trucks for over 50 years !! Call 615-859-0000 or visit www.bobfrensley.com to schedule a test drive. #sellingcarslikecandybars #sellingtruckslikereesecups. 2019 Jeep Compass Altitude 4D Sport Utility 2.4L I4 FWD Diamond Black 1-Year SiriusXM Guardian Trial, 4-Way Power Lumbar Adjust, 6 Speakers, 8.4" Touch Screen Display, Air Conditioning, Altitude Special Edition, Apple CarPlay, Auto-Dimming Rear-View Mirror, Black Day Light Opening Moldings, Black Grille w/Black Rings, Bluetooth Integrated Voice Command, Bluetooth® Streaming Audio, Brake assist, Bright Exhaust Tip, Cluster 7.0" Color Driver Info Display, Gloss Black Compass Badge, Gloss Black Fog Lamp Bezels, Gloss Black Jeep Badge, Gloss Black Lower Rear Fascia Valance, Google Android Auto, GPS Antenna Input, GPS Navigation, HD Radio, Media Hub (USB, AUX), MOPAR All-Weather Floor Mats, MOPAR Interior Protection Package, MOPAR Molded Cargo Tray, Piano Black Interior Accents, Popular Equipment Group, Power 8-Way Driver/Manual 6-Way Passenger Seats, Power steering, Quick Order Package 28B Altitude, Radio: Uconnect 4C Nav w/8.4" Display, Remote Start System, Roof rack: rails only, SiriusXM Traffic Plus, SiriusXM Travel Link, Spoiler, USB Host Flip, Wheels: 18" x 7.0" Black Aluminum. 22/31 City/Highway MPG Bob Frensley , home of the Superdealer has been selling cars/trucks for over 50 years !! Call 615-859-0000 or visit www.bobfrensley.com to schedule a test drive. #sellingcarslikecandybars #sellingtruckslikereesecups. 2019 Jeep Wrangler Unlimited Sport S 4D Sport Utility 2.0L 4-Cylinder Turbocharged 4WD Gray Clearcoat 8 Speakers, Air Conditioning, Anti-Spin Differential Rear Axle, Automatic Headlamps, Black 3-Piece Hard Top, Bridgestone Brand Tires, Deep Tint Sunscreen Windows, Freedom Panel Storage Bag, Front 1-Touch Down Power Windows, Leather Wrapped Steering Wheel, No Soft Top, Power Heated Mirrors, Quick Order Package 28S Sport S, Radio: Uconnect 3 w/5" Display, Rear Window Defroster, Rear Window Wiper/Washer, Remote Keyless Entry, Security Alarm, Speed control, Speed Sensitive Power Locks, Sun Visors w/Illuminated Vanity Mirrors. 22/24 City/Highway MPG Bob Frensley , home of the Superdealer has been selling cars/trucks for over 50 years !! Call 615-859-0000 or visit www.bobfrensley.com to schedule a test drive. #sellingcarslikecandybars #sellingtruckslikereesecups. 2019 Jeep Wrangler Unlimited Sport 4D Sport Utility 3.6L 6-Cylinder 4WD Bikini Pearlcoat 8 Speakers, Air Conditioning, Brake assist, Electronic Stability Control, Quick Order Package 24B, Radio: Uconnect 3 w/5" Display, Rear anti-roll bar, Speed control, Steering wheel mounted audio controls. 18/23 City/Highway MPG Bob Frensley , home of the Superdealer has been selling cars/trucks for over 50 years !! Call 615-859-0000 or visit www.bobfrensley.com to schedule a test drive. #sellingcarslikecandybars #sellingtruckslikereesecups. 2019 Jeep Grand Cherokee Altitude 4D Sport Utility 3.6L V6 24V VVT 4WD Crystal Metallic 115V Auxiliary Power Outlet, 1-Year SiriusXM Radio Service, 1-YR SiriusXM Guardian Trial, 4G LTE Wi-Fi Hot Spot, 5-Year SiriusXM Traffic Service, 5-Year SiriusXM Travel Link Service, 6 Speakers, 8.4" Touchscreen Display, Air Conditioning, Altitude Grille, Altitude IV Package, Apple CarPlay, Auto-Dimming Rear-View Mirror, Black Suede Seats w/Black Stitching, Blind spot sensor: Blind Spot Monitoring System warning, Body Color Claddings, Body Color Fascia, Body Color Shark Fin Antenna, Brake assist, Dark Day Light Opening Moldings, Dark Headlamp Bezel Finish, Dark Lens Taillamps, Four wheel independent suspension, Front Accent/Body Color Fascia, Gloss Black Rear Fascia Applique, Google Android Auto, GPS Antenna Input, GPS Navigation, HD Radio, Instrument Cluster w/Off-Road Disp. Pages, Integrated Center Stack Radio, Integrated Voice Command w/Bluetooth, Jeep Black Gloss Badging, Power 4-Way Driver Lumbar Adjust, Power 8-Way Driver/Manual Passenger Seat, Power Liftgate, Quick Order Package 2BZ Altitude, Radio: Uconnect 4C Nav w/8.4" Display, Rear Accent/Body Color Fascia, Rear Fascia Black MIC Step Pad, Rear Parking Sensors, Remote keyless entry, Security & Convenience Group, Security Alarm, Single Exhaust w/Bright Tip, SiriusXM Satellite Radio, SiriusXM Traffic Plus, SiriusXM Travel Link, Speed control, Steering Wheel Mounted Audio Controls, Traction control, Universal Garage Door Opener, USB Host Flip, Wheels: 20" x 8.0" Gloss Black Aluminum. 18/25 City/Highway MPG Bob Frensley , home of the Superdealer has been selling cars/trucks for over 50 years !! Call 615-859-0000 or visit www.bobfrensley.com to schedule a test drive. #sellingcarslikecandybars #sellingtruckslikereesecups. 2019 Jeep Compass Altitude 4D Sport Utility 2.4L I4 4WD Crystal Metallic 6 Speakers, ABS brakes, Air Conditioning, Automatic temperature control, Brake assist, Bumpers: body-color, Compass, Electronic Stability Control, Four wheel independent suspension, Front dual zone A/C, Heated door mirrors, Illuminated entry, Low tire pressure warning, Radio: Uconnect 4 w/7" Display, Remote keyless entry, Roof rack: rails only, Speed control, Spoiler, Traction control, Wheels: 17" x 7.0" Silver Painted Aluminum. Bob Frensley , home of the Superdealer has been selling cars/trucks for over 50 years !! Call 615-859-0000 or visit www.bobfrensley.com to schedule a test drive. #sellingcarslikecandybars #sellingtruckslikereesecups. 2019 Jeep Wrangler Sport 2D Sport Utility 3.6L V6 24V VVT 4WD Red Clearcoat 8 Speakers, Air Conditioning, Brake assist, MOPAR Lower Body Side Graphic, Quick Order Package 24B, Radio: Uconnect 3 w/5" Display, Rear anti-roll bar, Speed control. 18/23 City/Highway MPG Bob Frensley , home of the Superdealer has been selling cars/trucks for over 50 years !! Call 615-859-0000 or visit www.bobfrensley.com to schedule a test drive. #sellingcarslikecandybars #sellingtruckslikereesecups. 2019 Jeep Wrangler Unlimited Sport 4D Sport Utility 3.6L 6-Cylinder 4WD Ocean Blue Metallic 240 Amp Alternator, 7 & 4 Pin Wiring Harness, 700 Amp Maintenance Free Battery, 8 Speakers, Air Conditioning, Auxiliary Switches, Brake assist, Class II Receiver Hitch, Quick Order Package 24B, Radio: Uconnect 3 w/5" Display, Rear anti-roll bar, Speed control, Trailer Tow & HD Electrical Group. 18/23 City/Highway MPG Bob Frensley , home of the Superdealer has been selling cars/trucks for over 50 years !! Call 615-859-0000 or visit www.bobfrensley.com to schedule a test drive. #sellingcarslikecandybars #sellingtruckslikereesecups. 2019 Jeep Compass Altitude 4D Sport Utility 2.4L I4 4WD Red Line ABS brakes, Compass, Electronic Stability Control, Front dual zone A/C, Heated door mirrors, Illuminated entry, Low tire pressure warning, Remote keyless entry, Traction control. Bob Frensley , home of the Superdealer has been selling cars/trucks for over 50 years !! Call 615-859-0000 or visit www.bobfrensley.com to schedule a test drive. #sellingcarslikecandybars #sellingtruckslikereesecups. 2019 Jeep Compass Altitude 4D Sport Utility 2.4L I4 FWD Laser Blue 22/31 City/Highway MPG Bob Frensley , home of the Superdealer has been selling cars/trucks for over 50 years !! Call 615-859-0000 or visit www.bobfrensley.com to schedule a test drive. #sellingcarslikecandybars #sellingtruckslikereesecups. 2019 Jeep Compass Altitude 4D Sport Utility 2.4L I4 FWD Billet Silver Metallic 22/31 City/Highway MPG Bob Frensley , home of the Superdealer has been selling cars/trucks for over 50 years !! Call 615-859-0000 or visit www.bobfrensley.com to schedule a test drive. #sellingcarslikecandybars #sellingtruckslikereesecups. 2019 Jeep Grand Cherokee Altitude 4D Sport Utility 3.6L V6 24V VVT 4WD Gray Clearcoat 18/25 City/Highway MPG Bob Frensley , home of the Superdealer has been selling cars/trucks for over 50 years !! Call 615-859-0000 or visit www.bobfrensley.com to schedule a test drive. #sellingcarslikecandybars #sellingtruckslikereesecups. 2019 Jeep Wrangler Sport 2D Sport Utility 3.6L V6 24V VVT 4WD Hellayella Clearcoat 18/23 City/Highway MPG Bob Frensley , home of the Superdealer has been selling cars/trucks for over 50 years !! Call 615-859-0000 or visit www.bobfrensley.com to schedule a test drive. #sellingcarslikecandybars #sellingtruckslikereesecups. 2019 Jeep Wrangler Sport 2D Sport Utility 3.6L V6 24V VVT 4WD Ocean Blue Metallic 18/23 City/Highway MPG Bob Frensley , home of the Superdealer has been selling cars/trucks for over 50 years !! Call 615-859-0000 or visit www.bobfrensley.com to schedule a test drive. #sellingcarslikecandybars #sellingtruckslikereesecups. 2019 Jeep Grand Cherokee Laredo 4D Sport Utility 3.6L V6 24V VVT RWD Billet Silver Metallic 19/26 City/Highway MPG Bob Frensley , home of the Superdealer has been selling cars/trucks for over 50 years !! Call 615-859-0000 or visit www.bobfrensley.com to schedule a test drive. #sellingcarslikecandybars #sellingtruckslikereesecups. 2019 Jeep Grand Cherokee Laredo 4D Sport Utility 3.6L V6 24V VVT RWD Diamond Black 19/26 City/Highway MPG Bob Frensley , home of the Superdealer has been selling cars/trucks for over 50 years !! Call 615-859-0000 or visit www.bobfrensley.com to schedule a test drive. #sellingcarslikecandybars #sellingtruckslikereesecups. 2019 Jeep Grand Cherokee Laredo 4D Sport Utility 3.6L V6 24V VVT RWD Crystal Metallic 19/26 City/Highway MPG Bob Frensley , home of the Superdealer has been selling cars/trucks for over 50 years !! Call 615-859-0000 or visit www.bobfrensley.com to schedule a test drive. #sellingcarslikecandybars #sellingtruckslikereesecups. 2019 Jeep Grand Cherokee Altitude 4D Sport Utility 3.6L V6 24V VVT 4WD Diamond Black 18/25 City/Highway MPG Bob Frensley , home of the Superdealer has been selling cars/trucks for over 50 years !! Call 615-859-0000 or visit www.bobfrensley.com to schedule a test drive. #sellingcarslikecandybars #sellingtruckslikereesecups.